Local tobacco retailer checks that make sure stores don’t sell tobacco products to minors are expanding to include e-cigarettes in 2015, according to the Five Counties for Tobacco-Free Living Coalition. 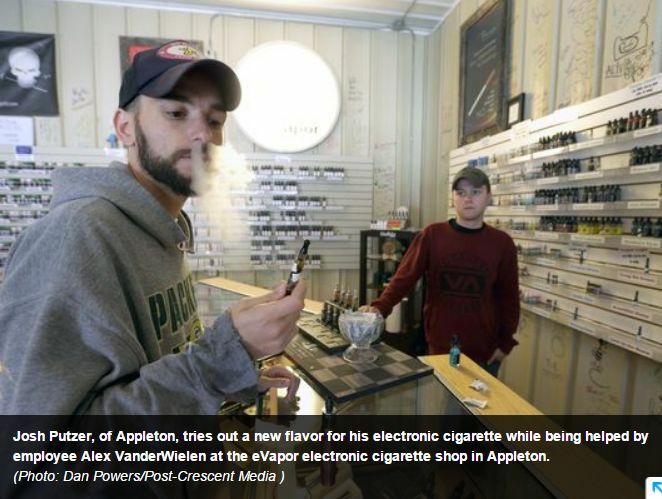 The change is being made through the statewide Wisconsin Wins program to address e-cigarettes’ rising popularity with teens. The 2014 Wisconsin Youth Tobacco Survey shows 7.9 percent of our state’s high school students currently use e-cigarettes. Nationally, in 2013, 4.5 percent of high school students reported currently using e-cigarettes. The intent of retailer tobacco compliance checks is to keep tobacco and nicotine products, such as e-cigarettes, out of the hands of children. All tobacco retailers and e-cigarette businesses can be checked during scheduled tobacco compliance checks throughout Fond du Lac County. An area of concern with e-cigarettes is that they typically come in candy and fruit flavors, making them especially appealing to young people…. By kristinnollmarsh in News on March 14, 2015 .